Right from the start, we knew what we wanted Why Fly to be – an unashamedly romantic take on the world of Aviation. We wanted to help remind Pilots why they decided to fly in the first place, and give them new reasons to continue on. We wanted to excite potential new Pilots with Aviation’s myriad possibilities and give them lots of motivation for getting in the air. We wanted to gather Aviation’s finest Writers, Photographers, Videographers, Poets, Artists and Interviewers in one location where they could share the passion surrounding the freedom only Pilots can experience. And we wanted to discover Aviation’s “next generation of communicators” and provide them with a platform where they could hone their craft. We believe that an examination of the content Why Fly has posted to date shows we have made a good start re all of the above. And we have many more exciting plans in the offing. But … there was one question we couldn’t answer until Why Fly went live. Is it possible to support a venture like Why Fly by membership alone? Or would we have to follow the example of others on the Internet and fund our Journal by more standard methods (advertising, third party sales, etc.)? We decided we wanted to explore the “Membership Option” first, but it has quickly become apparent that this is not a viable business plan. Lots of people visit Why Fly, and we’ve had nothing but “rave reviews.” But far too many go no further than the Complimentary Content. And, other than a devoted few (to whom we are sincerely grateful), most balk when it comes time to sign up as a Member. Option #1 – Shut down Why Fly. Option #2 – Re-invent Why Fly so it can find, build and retain, the audience we believe it deserves. After much thought, Michelle and I have decided to go for Option #2. “The passion for flight” isn’t just a catchy title, it’s how we’ve lived our lives. And we think Why Fly’s content is so important – to us, to you, and to Aviation – that we can’t just give up. Not without a fight! As for future content, don’t worry. We’ll be delivering even more of the high-quality posts you’ve grown used to; the same kind of wonderful stories, images and videos we’ve planned all along – as well as “Webinars,” “Podcasts,” and much, much more. How do we intend to do that? 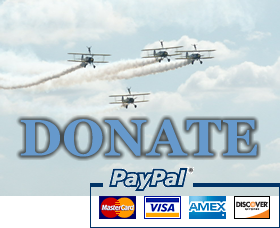 Right off the top, one of our Writers, Francois Dumas, has offered to sponsor Why Fly in the short term through his own “Silver Cloud Publishing” – for which we are deeply grateful. (More about Francois here: www.silvercloudpublishing.com). Francois will also take on the mantle of Why Fly’s Chief Operating Officer. So, with his help, Why Fly can continue on. But we are looking for much more assistance if Why Fly is to build into the successful entity we all know it can, and must, become. Although WhyFly is a labour of love for all involved, ultimately the site will need to make money so we can pay our contributors (and not go bust ourselves). As promised, Why Fly access will now be free, but we’ll need more Sponsors, Advertisers, & other Commercial Partners if we want to stay aloft. What we need more than anything else is a large audience. So please: Talk about us. Blog about us. Join our new Facebook Fan Page. Tell as many Pilots, Aviators, Fliers and Aviation-Buffs as you can that Why Fly is very much alive and is now completely free. We are planning special additional content to celebrate Why Fly’s “Free-Launch-Week,” (beginning Sunday, June 6th) so be sure to check back daily next week. As for the future, please know that you can count on us – and our Contributors – to keep providing new and interesting ways to answer that all important question … Why Fly? Because word of our impending changes has leaked out through Facebook, starting immediately – once you register, you will have FULL access to ALL Why Fly Content for FREE. To register, simply click on the “Free Membership” tab at the top of the site. During the transition period, this will take you to the old, “Become A Member” page. Scroll down, click on the large “Click Here to Become Why Fly Family Member” button, fill out the simple form, and – you’re in (with FULL access to ALL content). You are NOT signing up to make payments, just to become a member of the Why Fly Family – for FREE. There are NO catches. No tricks. We will NOT sell your Email address to a 3rd party. We respect your privacy. And we sincerely hope you enjoy your time at Why Fly.